To receive the best financial planning advice you need the best financial planner. John Duncan is certainly in that category. John is a financial planner who is unique in not only his high level of knowledge and experience in financial planning but also in the amount of areas that John advises in. 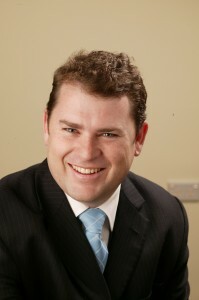 John is a Certified Financial Planner through the Financial Planning Association of Australia. This certification assures the public that those accredited have met rigorous professional standards and have also agreed to adhere to the principles of integrity, objectivity, competence, fairness, diligence, professionalism, confidentiality and compliance. 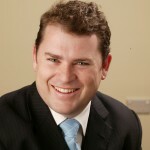 John also holds a Diploma of Financial Planning along with a Bachelor of Business majoring in Banking, Finance and Accounting from the Queensland University of Technology. He has held a Proper Authority since March 1997. John has over 15 years experience in the financial services industry. He began his career as an accountant with several different firms in England before returning to Brisbane in 1996 where he worked as a Financial Planner with Hillross Financial Services. In 1999 he joined Wilson HTM as a Senior Financial Planner where he honed his relationship building skills by managing an extensive client portfolio and providing advice and strategies for pre and post retirement, wealth accumulation and wealth protection. Industry Credentials During John’s time at Wilson HTM, he was approached by the Queensland University of Technology to develop and provide lecturing and tutorial services for an Introduction to Financial Planning course – John accepted and embraced this opportunity. He was also admitted to the prestigious Personal Investor magazine ‘Masterclass’, which showcases the top 50 financial planners in Australia when tested on their technical knowledge and expertise of application to real-life scenarios. To truly help you get your total financial house in order and give you the best chance of achieving your goal regardless of what is happening in the world around us, we need to understand your own life issues. What is important about money to you? How will your financial decisions impact each area of your life? What does your ideal life look like? Only after having a good understanding of what is important to you will your financial planner design a plan to give you the greatest chance of achieving your goals. John has not only saved financial planning clients thousands of dollars a year through his expertise as a financial planner but saves them numerous headaches with his determination to get the top outcome for his financial planning clients. Investment wise John is the steady hand in the emotional rollercoaster of investing. Through rigorous research and an asset-based approach John works to deliver a successful “investment experience” to every financial planning client and helps clients steadfastly focus on the benefits of long-term investing. John is a rare financial planner where frozen funds are non-existent with his clients. John is a financial planner who provides a consistent and rational investment experience that his financial planning clients have benefited greatly from. If you want a financial planner who puts his clients first and has the expertise and experience to give you a good financial planning experience give True Financial a call. John is a member of the Financial Planning Association of Australia as well as being a member of the Million Dollar Round Table.